I’ve been playing about with my world map in photoshop for a while, making something large that I can cut bits out of and use to make consistent regional maps for my books. I decided to take that whole outline and make a full world map that contains all the regions that appear in the stories I’ve written about the Middle Sea world. It only outlines the different countries, not all the individual locations, and even then only very generally. I think it would become too cluttered with the extra detail. Each regional map will be cut out of the template used to make this one to keep everything consistent, and the detail can go in on those. There’s also a lot of terra incognito, that will be updated as and when I write something that fills in the detail for that area. For example, there are a lot more rivers in this world, but I’ve only included those that have appeared in a story, or the world building for a story that I’ve written. So here it is, the product of several hours playing around with photoshop, The States of the Middle Sea. For anyone interested in playing about with making their own maps, I would really recommend checking out The Cartographers’ Guild website. A tonne of tips, tutorials, resources and inspiration all just a click away! 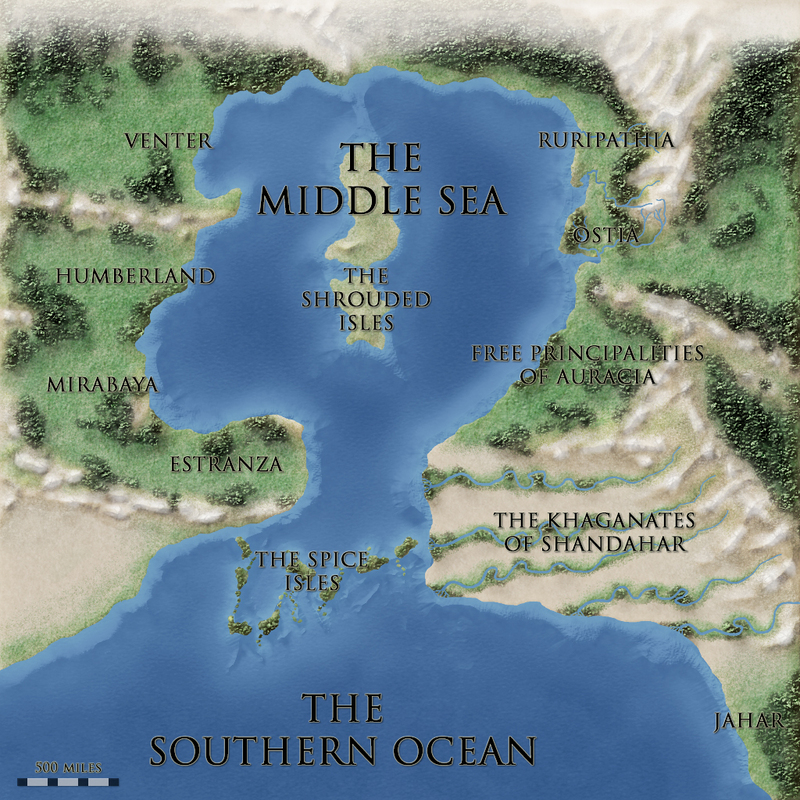 This entry was posted in General, The Tattered Banner and tagged book, books, cartography, Duncan M. Hamilton, ebook, ebooks, epic fantasy, fantasy, fiction, kindle, map, maps, novel, Publishing, The Middle Sea, The Tattered Banner, writing by Duncan. Bookmark the permalink.